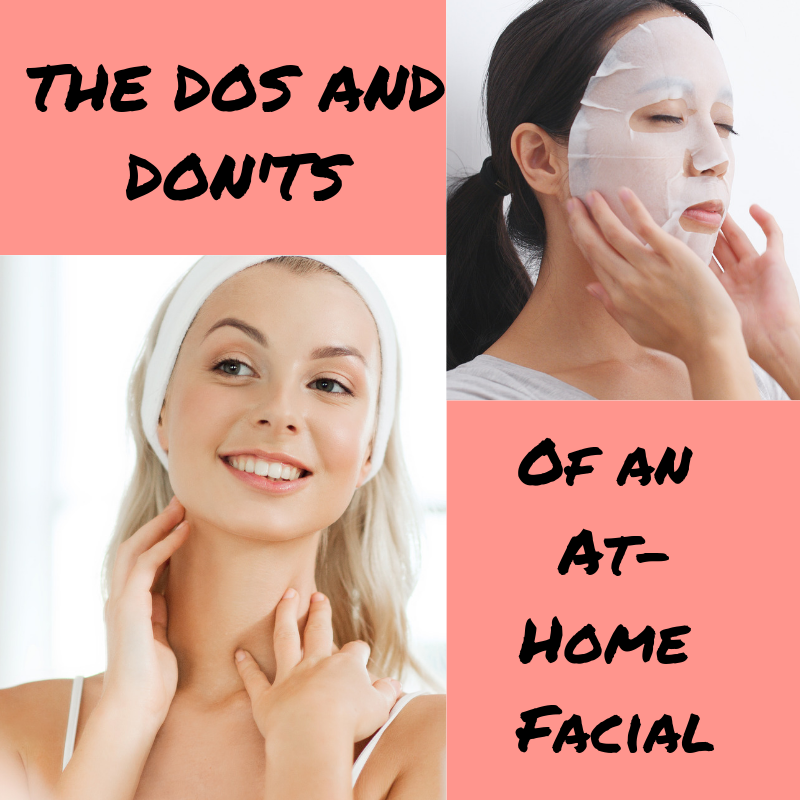 I recently saw a segment from an American morning talk show where the guest presenter showed her ideas for doing an at-home facial. I initially thought that the concept was a great way to encourage people to take some extra time for their skin and self-care. However, I was quite shocked at the actual “tips” given, as the routine itself was lacking important steps, and even worse, much of the advice given would definitely cause more skin issues for a lot of people. So, as a avid skin health enthusiast and skincare lover, I thought that I would share some of main dos and don’ts for creating a little skincare “me time” that leaves you feeling hydrated and glowy, rather than greasy, irritated, or breaking out. Important note: For best results, establish a consistent, daily skincare routine that is specifically tailored for your skin and improving and supporting it in the ways that it needs most and use your at-home facial as a complement to this. Use coconut oil for oil cleansing or for moisturizing. Coconut oil is comedogenic and is highly likely to cause you to break out, so it’s best to leave this oil in the kitchen. Use a harsh scrub. I personally have sensitive skin, and I feel that a lot of people can benefit from gentle chemical exfoliators that do a good job of exfoliating without irritating the skin. The key here is to find a product that is good for sensitive skin and to not over exfoliate. Use lemon juice in a DIY face mask. Some at home face masks can provide moisturization like truly raw honey or manuka honey. However, lemon juice is highly acidic and is much more likely to get into your eyes or cause skin sensitivity. Again, leave this ingredient in the kitchen. Double cleanse. Using an oil cleanser followed by a gentle, lower ph foam, gel, or water-based cleanser, is the most important step to any skincare routine or at-home masking routine. You need to properly clean your skin of all of the pollution, dirt, dust, sunscreen, or makeup that it has accumulated throughout the day before you can put new products on it to soak in. 2. Steaming. If you have the time, and you really want to help induce a more spa-like experience, include a steaming step in this routine. It will help open your pores and might also aid in relaxation. There are plenty of small at-home steamers you can purchase to use and there are many different styles to choose from. However, if you want to be even more basic, you can try hovering your face over a bowl of hot water or additionally, covering your face with a towel. Keep in mind that using a towel will tent in the steam and make your face a lot hotter compared to doing a gentle warm steam without a towel. Steaming is recommended for around 5-10 minutes but it is especially important to remember to not steam too long as that can cause more sensitivity for some people. 3. Exfoliate gently. You don’t need to exfoliate every time that you give yourself a masking treatment, but if it does fall on one of your scheduled exfoliating days, then it can be a good step to add in. As I mentioned previously in the Don’ts section, you don’t want to over exfoliate as you might cause your skin to be sensitive, or even worse, red and raw. 4. Tone. Here is an important step that was missed on the aforementioned morning talk show segment-- the importance of a good ph balancing toner. However, contrary to a lot of western toners-- which are used as a final cleansing step-- hydrating toners are the first step to infusing valuable hydration back into your skin. Toners that contain zero alcohol and have a focus on hyaluronic acid can be very hydrating, but, to make things simple, look up K-beauty toners-- which are always hydrating. The only thing to keep an eye out for are toners that also contain acids for daily exfoliation-- as this can be too much for some skin types, especially sensitive ones. 5. Pick your mask. The key here is to pick the mask that is best suited to your skin needs at the moment. The following are just a few ingredient ideas to get you started on your way to finding the masks that are a great fit for your skin. Next, pick what type of mask is most fitting for the task. There is a wide range from bubble clarifying masks, to clay masks, to multi-masking, to creamy or jelly wash off masks, and my favourite, the ultra hydrating sheet mask. Skin flaring up with breakouts or just more sensitive in general? There’s a mask for that-- think soothing aloe vera, calendula flowers, rose, green tea, madecassoside, centella asiatica, and even masks that contain camellia oil-- like a 2-part mask experience. Dealing with congested skin? Try clarifying masks or mud masks to help draw out impurities. Also, depending on the nature of your breakouts, your skin might do better with a clarifying mask to help clean out the pores or soothing masks to reduce inflammation. Dealing with dry, oily, or combination skin? There’s a mask for that. Oily skin is often dehydrated skin, so first, make sure you know if your still type is truly the oily type. Hydrating masks are still a good idea for oily skin, but other masks designed to help better control oil production, like tea tree or egg white, can also be really helpful here. Dry skin usually requires the biggest boost of hydration and moisture-- think ceramide, honey, avocado, argan oil, and the ever-amazing hyaluronic acid masks. Feeling like your main goal is just to have some “skintertainment” and goof off in your pjs? There’s a mask for that. Note: if you are planning to use a clarifying mask, or clay mask, it is important to use your hydrating toner after you have washed it off as you have essentially deep cleaned your pores and now, your skin really needs a little ph balancing and hydrating. Secondly, for any rinse off masks, if you feel that your skin needs it, following with a hydrating essence or serum before the final step. 6. Sealing it all in. Finish your routine off with a good moisturizer to act as a protective layer for your skin and keep all of that good hydration in. As with the other skincare products listed, your moisturizer should be the perfect fit for your skin needs and for the season. A heavier moisturizer is usually preferred in winter, while a lighter one is usually better for summer. If your skin is sensitive, you will need to watch out, as many moisturizers may cause sensitivity, clogged pores, or breakouts. Extra fun: Make the experience your own and add to it whatever would make the experience more enjoyable for you. This is your special “me time” and that means that you can make it as spa-like, or as crazy fun as you want. Feel free to mask your face while enjoying a hair mask at the same time, giving yourself a manicure, having a dance party by yourself, or soaking in the tub-- just don’t let the sheet mask dry out if you’re using one!